Ask anyone to define British style and they’ll no doubt give you answers like cray, eccentric and throw-on. Brit girl fashion has always been acclaimed for its fun and fearless approach and in true homage to that we’re giving you a fast track lesson in how to dress like Britain's fashion finest. Alexa Chung… be afraid! The key to British fashion lies in making it look like you are naturally THAT good at getting dressed in the morning. It’s about fooling people into thinking, ‘I woke up like this’, only you didn’t. You did think about pulling an outfit together and you did take a selfie before you left the house. You’d just never admit to it. But it happened. 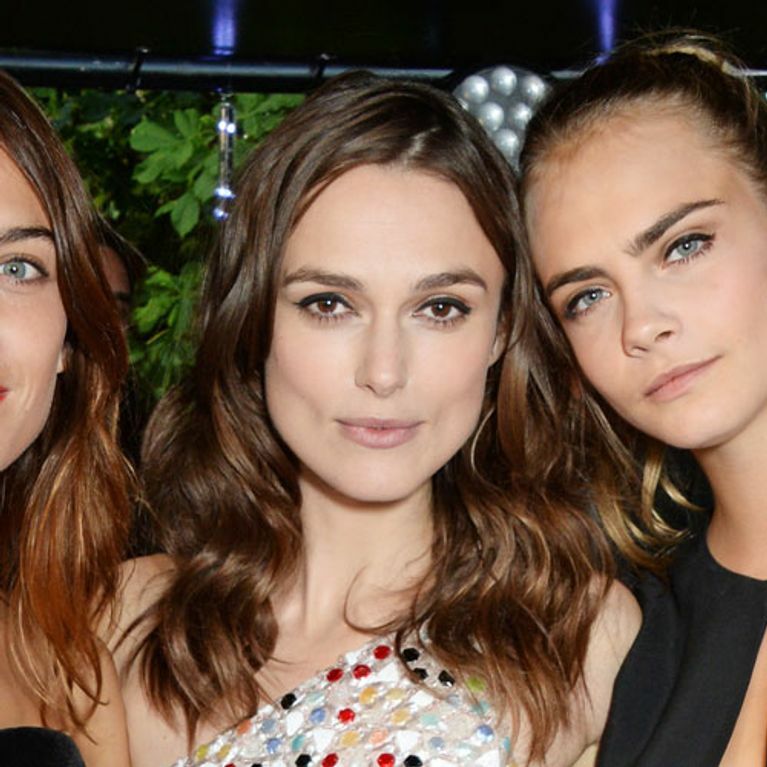 The Brit fashion girl lives by three simple rules. Throw it on, don’t think about it and always have fun. Reckon you could nail all three? Here’s how it’s done. The staple of every Brit girl’s wardrobe has to start with her pins. She wouldn’t be without her rugged skinny jeans and she might even fashion a few DIY nips and tears into the fabric too using only a razor. Because she's cool like that. Alexa Chung and Sienna Miller wouldn’t dare be seen on the FROW without a set of stripes to go with them. You can go plain and simple, styling your stripes with distressed denim shorts for festival season and polishing them off with a fedora. Yep - basically everything Kate Moss wears you need to wear stat! Or you go for something a little less safe and don dungarees and a pair of colour pop orange heels. That’s definitely got the Chungster seal of approval. When it comes to slipping into your shades it's a case of go supersize or go home girl. Too big? Behave. All the better to hide your hangover with. The favourite shades of all have to be Wayfarer Ray Bans, get yourself a pair for Brit girl 'tude at all times. Layers, layers and more layers. THAT is the key to every Brit girl’s heart. If she’s not slipping on a trench coat in winter or wrapping up in a slouchy knit then she’s likely to be filling in the gaps with an investment leather piece. Or just a rip off version from Primark. Because that's how Brit girls roll. Not every day can be a skinny jeans day *sigh* but that’s ok because that’s what jumpsuits were made for. By day, team it with your plimsolls and a bright manicure, by night dress it up a notch with a blockette heel, oversized clutch and a cropped textured jacket. Done deal. Whatever way you wear it, the all-in-one is versatile, city chic and… your excuse for a spontaneous night out. BOOM round up the girls. Birkenstocks, peeptoes, sneakers and pumps, that’s how a Brit girl gets around. Sure she loves her heels as much as she loves her Havianas but going flat out fashion is what she does best. The main rule of thumb here is to do the unexpected. You’ll be surprised at how much your New Balance treads can transform that dull LBD you’ve been hiding at the back of your wardrobe. Try it. Try it now. When it comes to saying something with style, Brit girls are all about wearing their words on their sleeves. Kinda. Simple, obscure words are what we’re dealing with here. Stick to plain tees emblazoned with one-word statements or a phrase and let your wardrobe do the talking. Check out these British fashionistas for some style inspo!